Last week I was in Frostproof, Florida, enjoying the sun and a sojourn on Silver Lake where sunsets are rightfully billed as the most glorious in the U.S. I spent a lot of time “taking my leisure,” but ventured out to a Rotary Club meeting with Vickie Sullivan’s sister on one occasion, and another day we visited a plant nursery where research is being done on citrus. However, a customary Sunday afternoon at the movies proved to be the most cogent day of the visit. We saw the movie “The Soloist,” and if you haven’t viewed it, I’d strongly recommend that you take time to see it at your local theatre or rent it. The movie is a true story about an L.A. columnist (played by Robert Downey Jr.) who meets a homeless schizophrenic musician (played by Jamie Fox), a former student at Juilliard Music Academy. The homeless man sits on the streets of L.A. playing Beethoven on a two stringed violin. The columnist and the musician become friends, the story unfolding in a stark, unsentimental way that gives it poignant authenticity. This simple story suggests to viewers that much is asked of us when we encounter the mentally ill who live on the streets in major cities everywhere in the U.S. since the time that legislation was passed regarding institutionalization of the insane. The result of that legislation has been that the mentally ill now reside in shelters or in jail cells, rather than in institutions dedicated to care and medical help for them. “The Soloist” sent me to my bookshelf where I re-read Archbishop William Temple’s vision of a fairer society which could be built only on moral foundations with all individuals recognizing their duty to help others. He was deeply interested in a view of morality that wasn’t preoccupied with sexuality but which was relevant to the numerous social problems facing us. Temple espoused in “Citizen and Churchman” that the vocation of a Christian was to dedicate himself in the power of love to the establishment of justice. “The Soloist” also brought to mind a theology emphasized by Harold T. Lewis in “Christian Social Witness,” in which he explains that we must have grounding in an incarnational understanding of the universe. I hasten to add the caveat that for many families, as in my own, the willingness to help these homeless relatives is not enough and, like Nathaniel Ayers, medical help is more than often refused by the victims, and the street becomes home as a matter of choice – they don’t want to be treated or helped and abhor the confinement and restrictions of a saner life. It’s truly a Catch 22 situation, and the movie provides an answer only in the musician’s willingness to accept a friend and his help so that he can explore the meaning of his life and break out of the narcissistic pattern of living, finally connecting with another human being. inside, the complacency of blessings. soft like a confirmation gown. embracing the shelter’s welcome she knew so well. to see if she could go home again. murdered in Chattanooga’s incautious Spring. for those who live in indoor complacency. Sometimes when we” start out for town,” as my Grandmother Nell used to say, we end up miles away from Sewanee, searching for serendipity instead of running errands. Yesterday, when we had driven as far as Cowan, TN, we discovered a new bookstore, “The Book Brake,” that specializes in used and rare books,and we came to an abrupt halt before the small shop across the street from the old Cowan train station. Inside, we found shelves of mysteries, classics, children’s books, and the rare ones that were out of our pocketbook range, settling for several $2 and $3 volumes, one of which was an old Graham Greene novel. However, the brand-new book with which I left the shop was a children’s book actually written by the proprietor, entitled MATT THE MOODY HERMIT CRAB. I bought the volume after a long chat with Caroline C. McGee, an M.D. who now lives in Cowan and who formerly practiced family medicine and specialized in care for patients with depression and bipolar disorder. MATT THE MOODY HERMIT CRAB is the story of an imaginary creature, a hermit crab afflicted with bipolar disorder, which provides insight into the thinking and behavior of a young boy crab who has become convinced that aliens have taken over the world and he must stop them. Readers also experience life within the family constellation in which Matt, the hermit crab, learns to function without disrupting all the members with his irrational rages associated with bipolar disorder. Caroline’s husband, a former publisher in Nashville, TN, published MATT THE MOODY HERMIT CRAB during the time he owned the publishing house, McGee and Woods. Caroline, who no longer practices medicine, is a living “profile in courage,” as she suffered a near-death experience resulting from a bicycle accident, and the experience left her with brain damage that affects her speech and limits use of one of her arms. The bookstore is her new terrain, but she has a formidable work history, having practiced family medicine for 16 years, along with the care she provided for those with bipolar disorders. She also worked with a Juvenile Detention Center, caring for behaviorally troubled youths, and was a founding board member of Tennessee Women in Medicine. She served on the board of Siloam Family Health Center, a clinic for indigents where she was a volunteer physician. 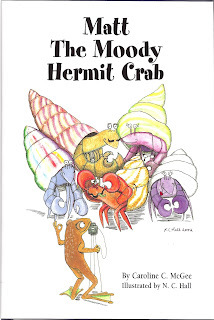 MATT THE MOODY HERMIT CRAB was illustrated by Nancy C. Hall, a renowned artist who lives in Nashville Tennessee. Her whimsical drawings of crustaceans remind me of the Clovis Crawfish series written by Cajun Country author Mary Alice Fontenot (now deceased). The illustration above is the cover for MATT THE MOODY HERMIT CRAB, an informative story that can be read at one sitting as it is little over 100 pages. 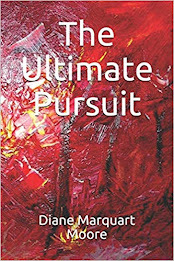 For those of us who have at least one hermit crab of this variety in the family, the book is a “must read.” The hopeful take home message is that a person suffering from bipolar disease, when treated with appropriate medication in early childhood (and coupled with behavioral training) can become successful in any work he undertakes in adulthood. Caroline emphasized that early diagnosis and treatment of this disease results in enhanced functionality. As I said, a trip to town isn’t always an occasion for errands! It’s nice to have another outlet for books in the area, particularly when you can find second-hand treasures for reasonable prices. Of course if you’re a book buff, the bargain prices will only encourage you to take home an armload! When a blanket of gray envelops Sewanee on certain Spring days, I refer to this mountaintop idyll as “Grayburg.” Yesterday was one of those days but it was brightened by talk about, and the appearance of, several birds, one small fat one which I had never seen before and which hovered at my front door on the welcome mat. When I went to Monteagle for my usual overdue haircut yesterday morning, my hairdresser revealed to me that she’s a bird lover and that on her days off, she goes fishing and takes along a bird identification book. Recently, she sighted two bald eagles near St. Mary’s Convent where she lives and reported that hawks abound in the area. When she had finished cutting my hair, she accompanied me out on the porch of the “Mane Attraction” and showed me a mother cardinal sitting on her nest in the bushes near the doorway. I was as enthralled with the overwhelming interest Lydia showed in bird care (she has been feeding the mother) as I was with the sight of the cardinal placidly sitting there, unperturbed by customers walking in and out of the shop. At noon, I went to the French doors overlooking the woods in the front yard and found a fat nuthatch perched on the doormat. She was unmoved by my peering at her intently for ten minutes or so before she finally lifted off and left me scurrying to find a bird identification book. I think it was a red-breasted nuthatch which is a bird that winters in southern climes. I surmise that she has been nesting in an old woodpecker hole in an oak of the front yard, a place where a pileated woodpecker has been drilling. This bird imitates a pygmy owl hooting and if I knew how to make the sound, I could call her back for a visit as I understand the nuthatch often cozies up to human watchers. She certainly didn’t seem disturbed when I observed her, and I would have provided her a peanut butter dish if she had tarried as this is something nuthatches enjoy eating. So many birds migrate this way, and the thought of their migrations provoked another search for explanations of where birds go during the winter months. I discovered some information by Rosemary Drisdelle who offered folklore tales about bird migrations. In the Middle Ages, people thought bar-headed geese, crossing the Himalayas, went to the moon for the winter. Others believed that Piping Plovers simply changed into another kind of bird when the icy winds of winter began to blow. Ancient Egyptians thought that small birds were carried away on the backs of larger birds when winter approached, and Corn Crakes were thought to bury themselves in mud when cold weather threatened their survival. For an FDR fan, a visit to Warm Springs and the site of former President Roosevelt’s Little White House rates as an “experience.” During the Easter holiday, we drove to Warm Springs, GA to see the place where Roosevelt received his inspiration to overcome a serious disability resulting from polio and where he developed ideas to foster the recovery of an ailing nation. On arrival in Warm Springs, we went immediately to the Little White House, a small cottage set among pines that rustled loudly from the force of strong winds which eventually spawned a tornado thirty miles up the road from us at Newnan, GA.
More importantly, Roosevelt was a model to anyone suffering from a severe physical handicap. During his visits at Warm Springs, he swam daily in the mineral springs’ naturally heated water, struggling to develop upper body strength and restore some life in his legs. Although he didn’t restore normal walking capacity, he improved his condition tremendously through disciplined exercise and a strong positive attitude about leading a good life despite pain and handicap. He was enchanted with the area around Warm Springs and bought the old Meriwether Hotel which became the Warm Springs Foundation and is now known worldwide as the Warm Springs Institute for Rehabilitation. In order to do this, he had to spend 2/3’s of his personal fortune that had been set up in a Trust when his father died. He also built the Little White House, the simple cottage that he returned to many times to plan for the development of the various programs he established – the Tennessee Valley Authority, the Work Progress Agency, the Civilian Conservation Corps, Social Security, the REA, Farm Credit Administration, Soil Conservation Service, Federal Emergency Relief Agency, Civil Aeronautics Administration and numerous other “New Deal” programs that restored America. He accomplished all of this with cheer and optimism and while he suffered agonizing attempts to walk. I could imagine Roosevelt in the cottage or picnicking on Pine Mt., swimming in the pool of mineral waters, breathing in the pine-scented air and feeling relief from the crowds and speeches, national and international issues that beset him, maintaining always that smiling confidence which inspired a nation during 12 years of his leadership as president. My visit to the FDR State Park at the end of a scenic drive through the Pine Mt. ridge was another highlight of the trip. At this site, 70 CCC boys came by train to build the log cabin structures, many of which are rented out to visitors today, and to dig Lakes Delano and Franklin by hand with picks, shovels, wheelbarrows, and muscle power. The CCC’s brought back memories of my father who would have starved during the early 1930’s if Roosevelt hadn’t instituted the CCC program. The CCC’s also benefited the entire nation in that the boys developed many of the State Parks scattered across the U.S. The CCCs were also referred to as the “Tree Army,” and were succeeded by the WPA, another program to which my father belonged. He was among a corps of young men, ages 18 to 25 years old, who could work for six months or two years in this program and were provided food, clothing, education, health care, earning $30 a month, $25 of which was sent home to the boys’ parents and $5 of which was kept by them. This program lasted until early 1942 when the U.S. entered WWII, and many of the CCC boys joined the service. State parks, replanted national forests, bridges, dams, lakes are the outgrowth of this almost-forgotten project. I think that my father’s work ethic can be traced to his time with the CCC and the WPA (he was 17 when he joined the CCC, following early graduation from high school), and I certainly know that his love of mixing and pouring concrete derived from the work done with this organization. When I was a teen-ager, my older brother and I were taught how to mix mortar by hand and to create stone benches in our backyard for a picnic area…and each time I visit a park constructed by CCC labor, I look at work that even I experienced, second-hand! Many of the boys became stone masons, but my father became a Civil Engineer and, throughout his lifetime, related stories about the program that inspired him to learn his trade and to pass on a formidable work ethic. At present, I’m reading a massive biography of FDR, a volume containing over 1,000 pages that requires tremendous arm power to hold up when I read in bed, and a Young Adult novel about a CCC boy entitled “Hitch.” The coincidences of related material are everywhere – yesterday I turned on the TV book channel, and an author was lecturing about Frances Perkins, “The Woman Behind the New Deal,” FDR’s Secretary of Labor, who is reputed to have presented to FDR the ideas for all the New Deal projects. I believe that the New Deal was a matter of joint inspiration, and in either case, I respect the efforts of these two visionaries who helped restore our country when it suffered from most of the same problems confronting us today. In the photo above, I’m standing beside a statue of a CCC boy in the FDR State Park. This is a morning for brief bird visits – this snowy morning when the flurries finally adhere to the ground, and white carpets the hills surrounding Sewanee. At 7 a.m. Eucharist, safe and snug inside St. Mary’s Chapel, I watch a flock of crows whirling around the Chapel window, finally flying away when the bell for Eucharist rings. However, a few flap by during the readings and disappear hurriedly when the words, “righteous,” “redeemed,” and “sanctified” resonate through the chapel and against the window. Ravens – you unchurched bandits, I thought, remembering my Godfather’s disapproval of the black warriors who’re said to bring messages of bad tidings. Later, at home, I saw a pileated woodpecker attempt to bore a hole in the trunk of an oak in my front yard, the freezing temps causing him to withdraw his bill from his drilling project. Yesterday, sparrows briefly landed in the now-grassy yard and, discouraged by the sleet and snow, flew away to warmer nests. I’m surprised to see any visible bird life, but when I open the French doors fronting the cottage, I hear faint chirps coming from the underbrush. In this strange Spring weather, I spent the afternoon searching for signs of some wildlife in the woods that adjoin the cottage – I knew the moles would have better sense than to emerge from their subterranean hide-outs, but I anticipated rabbits or deer. I think the deer have been almost decimated by last year’s culling, but they’ll probably return after I plant the first impatiens, their favorite fare! The Rev. Suzanne Metz delivered a Holy Week homily this morning, confessing that this week usually inspires her to read poetry and listen to music, and I understand her inclinations. She read to us from John Donne, one of her favorite poets (She is a professed Anglophile working on a Ph.D. – the second Ph.D., which she will receive from Exeter in England). I was deeply moved, listening to the recitation of this tall woman with long auburn braids. Every finger of her two hands is encircled with gold and silver rings that glint in the white light streaming through the chapel window when she raises the chalice. The temps outside approach freezing, and feelings of warm community life overwhelmed me at the long oak table where we shared a biscuit breakfast. Diminutive Sister Mary Zita (A Filipino nun who has been with the Sisters of St. Mary for years) appeared in her bathrobe and slippers that bore the message ‘Cold Feet,’ and we inundated her with greetings as she’s frail and doesn’t slept well. The Order of St. Mary has a sister convent in the Philippines dedicated to assisting those who suffer from AIDS, but Sister Mary Zita prefers convent life here on The Mountain and can be found weeding and wielding a small rake in the Convent gardens and yard when warm weather arrives. and waiting for the gray spell to lift. while reading wintry New England poets. Writers of contemporary fiction are more-than-often asked to pen sequels to their work as we live in a world of “readers want sequels” (witness the Harry Potter series). The response of several people to my mole vignette has prompted me to compose a blog “sequel “to “Much Ado About Moles.” For late readers, I’m referring to the small mammals who live in underground burrows (most of them concentrated in my yard here at Sewanee, it seems) and not to those brown spots that pop up on head, neck, and arms and require skin applications to remove them from human bodies. At St. Mary’s Convent, I was advised to get a cat as they sometimes corner moles at the entry to their burrows. One of the biscuit bunch advised me to purchase a harpoon trap that has a sharp spike which impales the mole when driven into the soil by a spring. Another adviser suggested a mole repellant that contained castor oil, and yet another advised mothballs that could be poked into the opening of the burrow. The more remedies I hear for getting rid of moles, the more sympathetic I become toward these creatures I’ve not seen. From research and former readings in Beatrix Potter literature, I have some idea about what they look like and know they have paddled forefeet and long toenails which help them swim through the soil, that they’re brown to grey in color with glints of silver in their fur. Right about now their litters are coming into the world, and I think of all those mole babies I might be sending to mole heaven with mole repellants. I can’t even begin to envision impaling any of those mole infants. I seem to be getting sentimental about these earth movers who make their tunnels up onto the surface of my yard and cause general soil upheaval. So, I think I’ll relax with the advice: “Moles in the natural environment cause little damage…and are more a nuisance than a financial liability” (Just forget the cost of eight boxes of pansies!! Or maybe the rabbits ate them). When I walk in my backyard at Sewanee, I feel as though I’m promenading on the deck of a ship navigating a rocky sea – the bumpy terrain causes most visitors to exclaim, “You have moles!” Yes indeed, I have many moles, members of the family Talpidae – ugly, fur-bodied critters with beady eyes that live underground and nose through intricate tunnels beneath the surface of my yard, raising molehills and destroying as much lawn as they can. Moles love earthworms, and I’ve read that they often catch mice at the entrance to their lairs, so I endure the unsightly lawn because mice from the nearby woodland constantly attempt to penetrate steel wool barriers we’ve erected at possible entry ways into the house. They often eat the peanut butter spread on a trap and scamper off unscathed. However, Death by Mole is as horrifying for the mice as rodent bait because the mole’s saliva has a toxin that paralyzes its prey, such as the mice, and the moles store the paralyzed victims in underground larders for a sumptuous (?) feast later. I’ve been told to sprinkle cat litter everywhere or to try watching for the molehill to move and then plunge a knife into it. No way! I’ll just walk unevenly on my humped-up lawn and pray that Diggory Delvet decimates the mice population. If Stephanie were here, she’d be on alert, watching for Diggory and daring me to disturb this burrowing critter’s lifestyle. When she comes to visit in June and gets bored with Grand Ole Opry in Nashville, I’ll station her in my yard and commission her to mole watch. I’m told that the damage done to lawns by Diggory Delvet is primarily visual, so if I had a mind to, I could spade off the earth of the molehills as they popped up on my terrain, and the moles would simply continue to live in their subterranean tunnels. 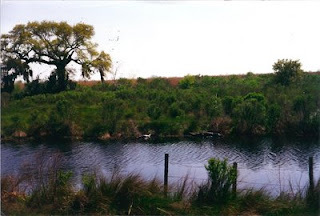 Petite Marie Melancon (heroine of my young adult novel, THE KAJUN KWEEN) lived on the chenier plains of Louisiana, “places where old beach ridges of live oaks jutted above the landscape,” Petite describes this south Louisiana terrain. 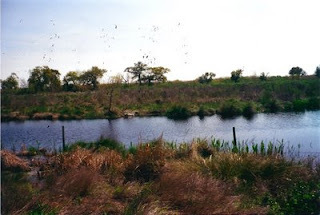 Sometimes when I long for my home in Cajun Country, I think about the many explorations I made to chenier country, the first one being a boat trip friends and I made down the Intracoastal Canal south of Abbeville, Louisiana in an attempt to find Cheniere Au Tigre (Tiger Island). After navigating many cuts along the Intracoastal, we docked near a chenier forest and came upon an abandoned cottage in woods that were thick with live oak, hackberry, holly, and honey locust trees. A few of the bird watchers in our party found a plethora of their feathered friends, as numerous birds use the cheniers for a stopover place during migrations. After my first trip to the cheniers, I learned that Cheniere Au Tigre was a wild place of tangled grape vines during the 1890’s where an expedition of people explored the area near Hell Hole Bayou, leaving an intrepid young boy to guard their boat while they went ashore. When they returned to the landing site, they found the boy, near death, as he had been mauled by a predator. They named the place Chenier Au Tigre after a wildcat or tiger that may have been the boy’s attacker. In further readings, I discovered that Swamp Angels lived on Cheniere Au Tigre during WWII, patrolling the beaches on horseback and occupying a watch tower where they stood, binoculars raised, searching the Gulf for German U-boats. On the day we made the first boat trip looking for Cheniere Au Tigre, I collected an animal bone (tiger?? ), and a tooth from some swamp animal to take home as souvenirs, but we never found the exact spot of the famous Tiger Island. I’ve never returned to search for the “island,” but I did travel throughout the countryside around Grand Chenier, Forked Island, Cow Island, and Pecan Island, looking for just the right setting for THE KAJUN KWEEN, finally deciding on the area near Grand Chenier. Vickie Sullivan snapped the photos above that still provide a scene upon which I can meditate and reminisce when I miss bayou country. An enlarged version of the photo hangs in my study here at Sewanee. Close observation of the picture reveals an alligator, its snout uplifted, close to shore, and the oak tree in the photo is a typical live oak indigenous to cheniers. The word “cheniere” is actually French for “oak tree,” and you can find these chenier forests in the chenier plain from Iberia Parish (my home parish) west across Vermilion and Cameron parishes of Louisiana. On days when I need a “Louisiana fix,” I ponder the lovely photograph in my study, and the chenier ridges poised above the placid waters of a sluggish bayou “speak to my condition” and lift my spirits.